The Flickr group capturing our imagination this week is Tales From A Parallel Universe. 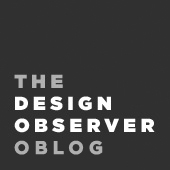 From time to time the editors of Design Observer observe something we think you will enjoy. A brief history of the collaboration between Robert Frost and Joseph Blumenthal as well as many top woodcut and engraving artists of the day. Opening today is House Housing: An Untimely History of Architecture and Real Estate in Nineteen Episodes — the first public presentation of a multi-year research project conducted by the Temple Hoyne Buell Center for the Study of American Architecture at Columbia University. Sylvia Harris is widely recognized as a pioneer, a generous mentor and a vital inspiration to the field of social impact design. In that spirit, the Sylvia Harris Citizen Design Award has been established to honor her legacy by supporting other vanguards dedicated to public design. Avery Thatcher is one of the emerging designers from the oft-lauded creative class in Portland, Oregon. A short film about Ethan King, a 15 year old from Michigan whose dream is to give soccer balls to kids all over the world.